#BOOM Apologies this isn't Twitter or Instagram. #YOLO Its been 21 days and you are feeling great, looking fantastic and performing like a ninja in class so where to from here? Firstly lets take a moment to take stock of and evaluate your progress thus far. High 5 yourself and your buddy for all of your "wins" and these don't have to be weight loss focused. Did you have more energy during training? Did you sleep better at night? Did you consistently eat all your main meals? 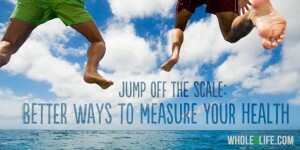 Remember there are more ways to measure health than to step on the scale so CLICK HERE and start ticking them off! On top of the awesome accomplishments we have achieved over these past 21 days, you have also armed yourself with the tools to sustain a healthy lifestyle around food and we wouldn't be surprised if you may want to continue with this protocol for even longer. Some of you may, and feel free to do so but for those of you ready to move on to the next step, lets dive in! It's time for the N of 1 trial where you will spend the next couple of days reintroducing food items of your choice back into your diet to gauge what works and doesn't work for you Obviously if you have already decided that you prefer not to eat a certain food group regardless of the affect, you do not need to bother with reintroduction. Only introduce the food you may want to include in your diet. Reintroduce the "less healthy" foods into your diet one food group at a time - make sure the rest of your diet is as Whole30 compliant as possible. Try not to combine major food groups i.e a glass of milk with your jam sandwich. You may be left attributing causes to the wrong food group. Keep paying attention to what you eat as you continue your health journey, you will walk away with even more knowledge about your body which is always a great thing. How you should reintroduce food to your diet.